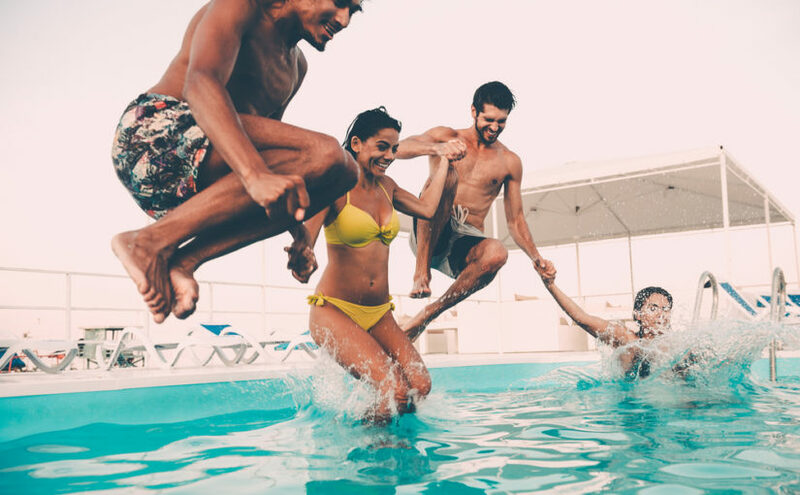 Over a period, probably, you feel your swimming pool is not as attractive as the new ones that your friends have built or you may feel that the aesthetics of the pool have outlived its dream tenure and needs drastic renovation. 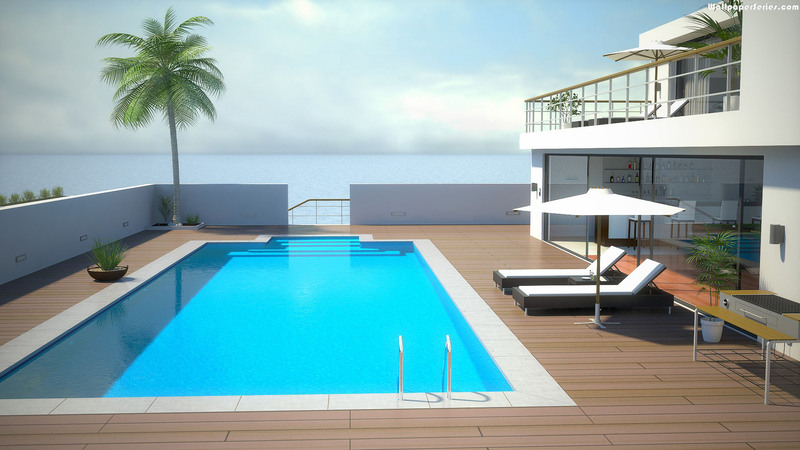 Alternatively, you might feel that the existing pool lacks amenities and you wish to bring it up-to-date with modern accessories and facilities. However, short of demolishing and re-building, you have several options to get your swimming pool a very new look and satisfy your dreams. 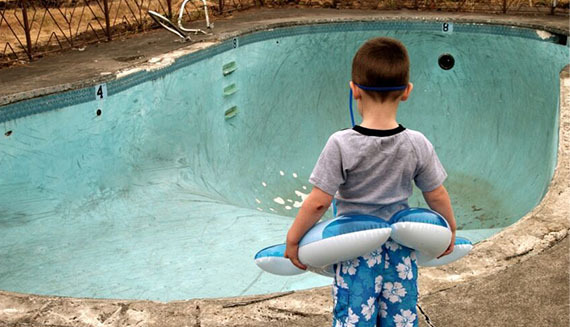 FREE BONUS: Download this pool remodeling guide. Easily save it on your computer for quick reference or print it for your project. Includes bonus tips how to avoid mistakes that will cost you thousands! Vinyl Pools are a blend of steel frame, rods, and wire with a spray of cement and sand. These are generally easier to build and are more popular in the US. However, these days, vinyl pools are topping the popularity charts because they are less expensive and easier to build or refurbish. You can easily make over an old vinyl pool by just adding a new liner, with a few new decks to give the grand impression of an expensive Vinyl pool. 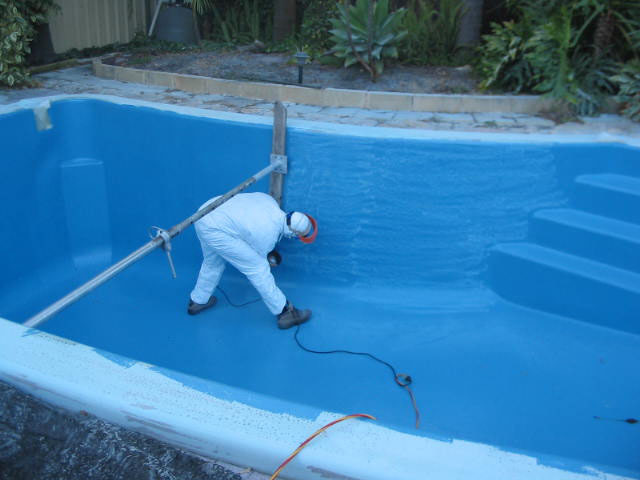 Pool remodeling, therefore, offers myriad possibilities for a healthy and attractive beautification process. 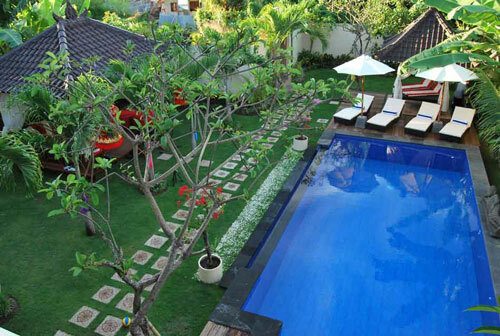 Lovely green plants add to the aesthetic value of every swimming pool, whether it is a new or remodeled one. However, take care to ensure that you always keep these plants properly trimmed and in control so that they do not drop leaves into the pools or encourage bird’s litter to defile the deck. While selecting your plants, make sure that you have a blend of palm trees, ferns and luscious flora that grow well with little water. 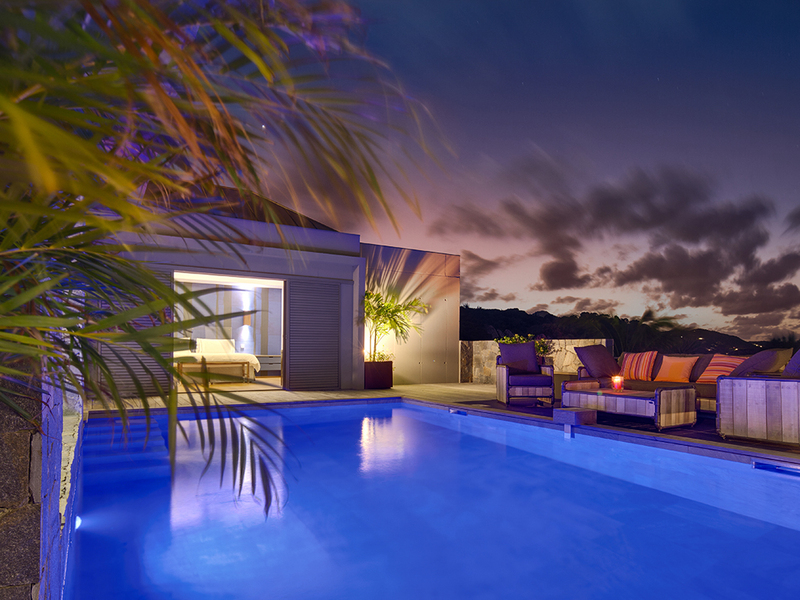 A row of coniferous trees along your poolside will surely provide shade and privacy all around the year. A pool house would be a welcome addition to any remodeling plan. You would do well to plan a prefabricated shed with facilities to store your poolside accessories including bath towels, shower caps etc., and a convenient change room for your guests. You could consider designing a small spa within the existing facilities, to add glamour to your pool. Consider using the pumping equipment not only to pump hot water into the pool but also to supply hot water to your mini spa. If you follow some of the innovative books on how to recover installation and operating costs, you will stand to gain considerably. A truly innovative plan for pool remodeling will include a truly majestic cascading waterfall, built from rocks and boulders. You also have the wonderful option to consider ready-made DIY waterfalls or something more dramatic like a bigger waterfall with a beautiful reservoir. 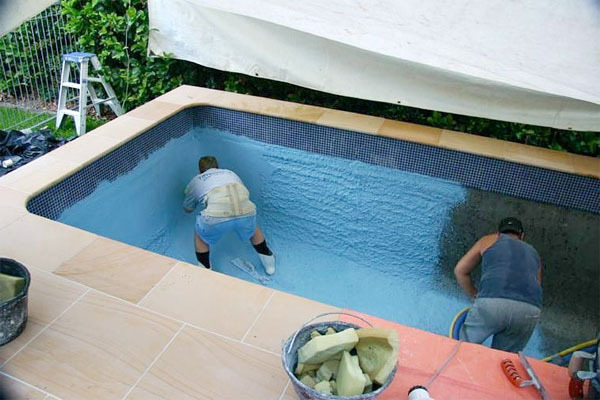 There are a number of considerations to keep in mind to prepare for pool remodeling. First, and perhaps most importantly, doing your homework is critical. When people fail to follow this fundamental step, they are often disappointed at the end result. However, if you find the right company to work with, you can count on top-notch results. Incidentally, if you’d ever like to speak with the professionals at Valley Pool Plaster, we’ll be more than happy to discuss your needs. Getting quality results really depends on a few basic things. This will make the whole process a lot more straightforward. Whether that means sitting down with a professional to do some brainstorming, or coming up with a general plan on your own, this is the best way to get started. Once you’ve got an idea of exactly what you want done, the next step is to figure out what it’s going to take to get there. 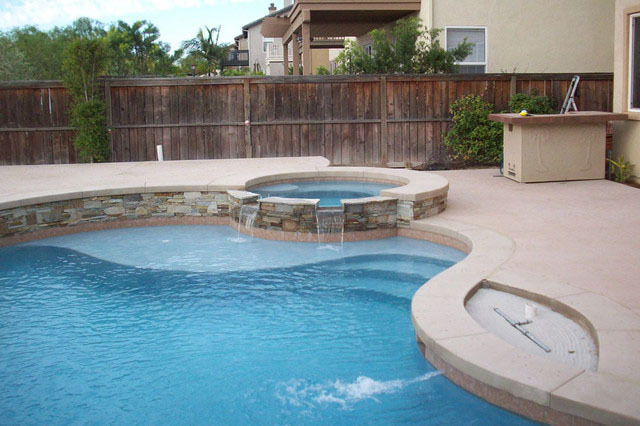 In most major cities, there are numerous options available for pool remodeling services. As you can imagine, though, not all of them are equally dependable. You should ultimately end up working with qualified, dedicated, and focused professionals like the ones at Valley Pool Plaster. Once you have the right people for the job, and you know what you want them to do, it’s time to let them work their magic. Using quality materials and skilled laborers, a reputable company can do anything from replacing pumps to overhauling the whole system. It is advisable to check in along the way to make sure everything is going according to the plan. Before making it this far, you may like to request referrals from previous clients. If you speak to a previous client directly, you can ask them about the areas where the company excelled, and also about the areas that they were less pleased with. Ideally, they will affirm that the company provided top-notch results and that they were astounded by the quality. In that case, you will know that you can trust them to do a great job. 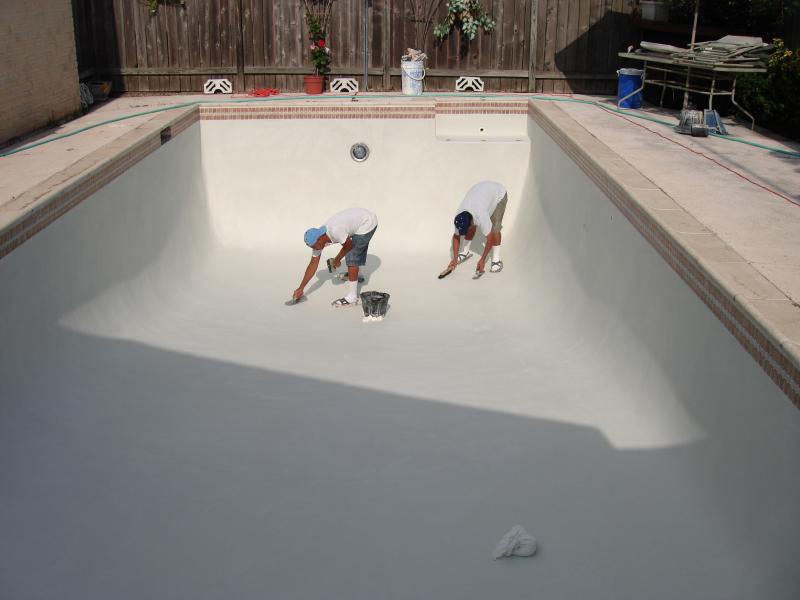 Pool remodeling and repairs are best left to professional companies like Valley Pool Plaster. While there may be small jobs the average homeowner can tackle on their own (depending on the type), most of these jobs require extensive equipment and experience, not to mention manpower. Even so, it pays to be informed so you know what you are getting into when it comes to these problems. The more you know, the less likely it will be that you’ll get taken advantage of when it comes to price and time. You also should know the difference between a job that needs to be taken care of now and one that can wait. In the final analysis, the best thing to do is find a trusted company to work with and schedule a consultation. Then determine exactly what you want to have done. From there, you can pretty much relax and let them do what they do best. However, it is important to check in from time to time and make sure things are going smoothly. If you follow this simple advice, you should be pleased with the final result.